Do I Need A Car Accident Lawyer If I Haven’t Been Injured? Being involved in a car accident is often a scary and traumatic experience, even if your injuries are minor or you were fortunate enough to escape without any injury at all. Navigating the insurance claims process on your own after an accident can be intimidating, and many people have difficulty finding help. Without Injuries, Do I Need A Lawyer? Without having actually been injured in the accident, it’s unlikely that hiring a lawyer would be in your best interests from a financial standpoint. It is also unlikely that an attorney would agree to take on a car accident claim if the person did not suffer any personal injuries in the accident. This is because personal injury attorneys – who typically have the highest level of expertise and knowledge when it comes to handling a car accident case – get paid on a contingency fee basis, which means their fee is a percentage of the overall recovery. If the only component of the case to be resolved is the property damage that resulted from the accident – damage to the victim’s vehicle or other property – then the attorney would have to take his or her fee from the reimbursement for property damage. Accident victims should only hire an attorney if they believe the attorney can provide value to the client, plain and simple. For the serious car accident cases we handle at Davis Law Group, this means exploring all possible avenues of insurance coverage, proving the extent and causation of our clients’ injuries, negotiating the cost of medical treatment with providers and insurers, and ensuring that our clients are fairly compensated for their pain and suffering after medical bills are taken care of. As experienced personal injury attorneys, we are able to provide a significant level of value to accident victims who suffer significant bodily injury in an accident. Even after deducting attorney’s fees, our clients receive a fair level of compensation for themselves and do not have to worry about their medical bills going to collections or affecting their financial futures. But there is not a lot of value that any personal injury attorney can provide for people who only have a property damage claim. Property damage claims are quite straightforward since the value of damaged property is determined by its fair market value, so an attorney would have a difficult time negotiating on your behalf and increasing the total recovery. 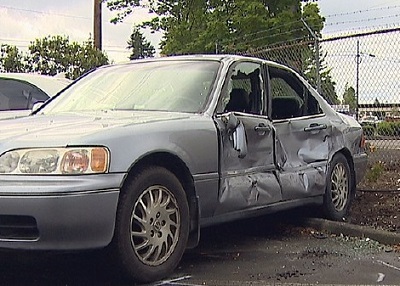 This is why personal injury attorneys typically do not handle property damage claims. In most cases, a person who contacts a personal injury attorney after a car accident without having suffered any injuries in the accident is going to be told that the attorney will not agree to taken on property damage-only claims. But that doesn’t mean that accident victims don’t deserve to learn about their legal rights and options just because they weren’t physically injured. Davis Law Group founder and principal attorney Christopher M. Davis has authored a series of free legal guides on personal injury law and the insurance claims process. We publish and distribute the books at our own expense, so they truly are free and packed full of valuable information. In fact, Mr. Davis has also authored a free downloadable report on property damage claims to educate people about these types of cases. If you still want to speak with someone about your legal rights and determine if hiring a lawyer is in your best interests, our award-winning legal team is standing by to answer your questions and help you better understand your legal options. Call our office in Seattle at (206) 727-4000 or use the confidential contact form on this page to have your case personally reviewed by our legal team.